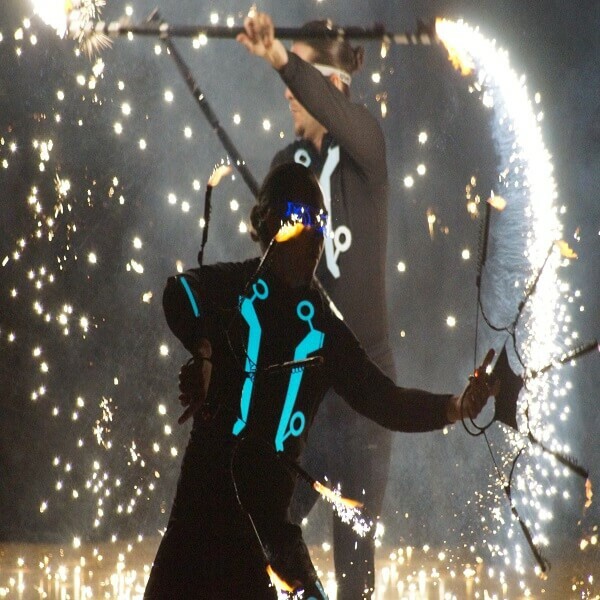 Entertainment with a unique aesthetic, our glow performance is stunning to behold and makes a wonderful alternative to fire. Glow performance is versatile, as well as captivating, and can be adapted to suit any event. 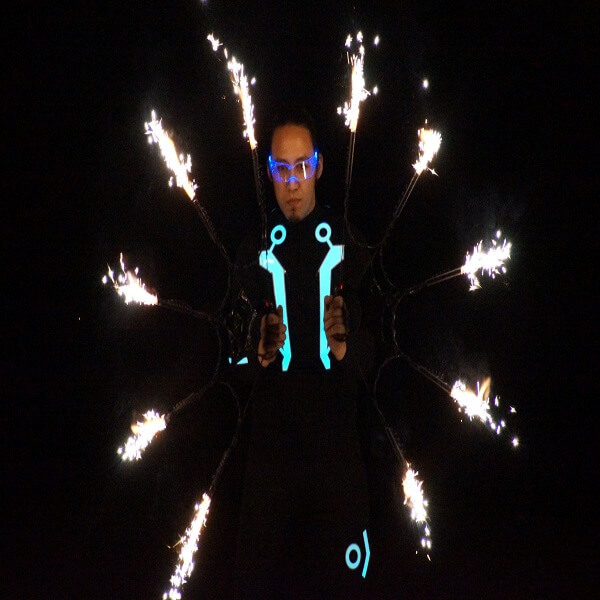 Chosen Events glow shows can also be further enhanced with our specialty props and effects, such as pixel poi and pyrotechnics. A great atmospheric backdrop, freestyle glow performance adds ambient movement, light and colour to space, and is something onlookers can enjoy for as long as they wish. Perfect for a meet and greet entertainment, or as something special in the background, our entertainers will perform in a free flowing manner whilst using multiple eye-catching props. 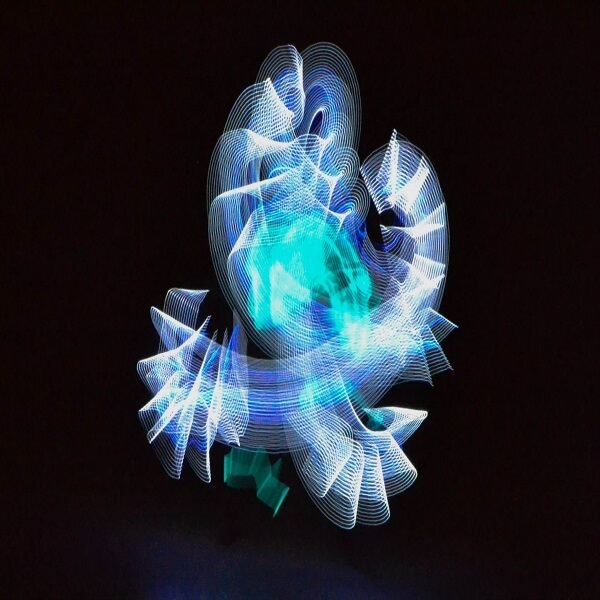 Our choreographed glow pieces combine music, light, and movement, and are designed with the intent to enthrall and astound. Using a variety of circus props, these dynamic acts are sure to become the show-stopping main feature of an event. Elements can be customised for a personal touch, such as colour scheme and event theme, and performances can be enhanced with the addition of our specialty props. 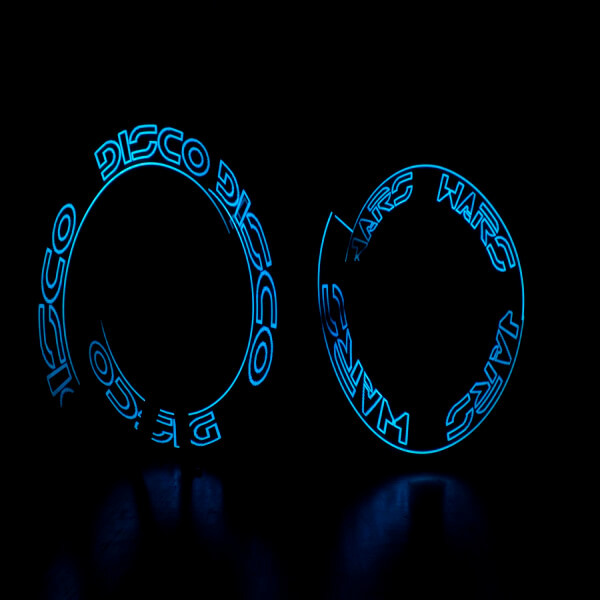 Our most impressive and effective props, these are ready to enhance any glow performance. Whether used separately or combined for the ultimate finale, our deluxe glow range is sure to amaze. Pyrotechnics- An exclamation in sparks, our pyrotechnic displays are an intense spectacle of light that guests will watch in awe. They are a guaranteed crowd pleaser, and never fail to raise gasps and cheers. 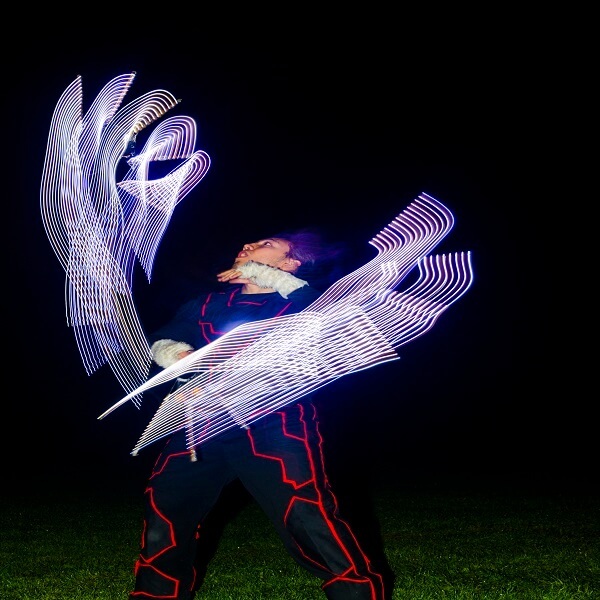 We have various pyrotechnic circus props, all of which are safe for indoor use. 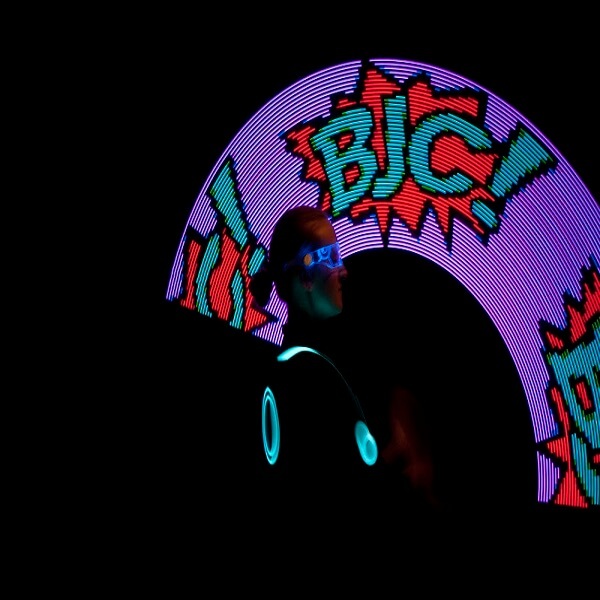 Visual/Graphic Poi- Using advanced microcontrollers and high-quality LED’s, we have produced visual props that can paint patterns, pictures and even words in the air. By far our most advanced and breathtaking glow prop, we can customise the graphics based on company logos, themes or messages, as well as personal names, or celebratory messages.